CASA MATITA is the name of our house in Italy. Matita is the Italian word for pencil. The house is tall and thin. If you know us, you can stay there for a small sum which helps us cover the cost of gas, electricity, cleaning etc. Contact Dave or Hilary or Kate or Mick, whose numbers you will know. If you don’t know us, then you can’t. Santa Vittoria in Matenano is in the Marche region of Italy. 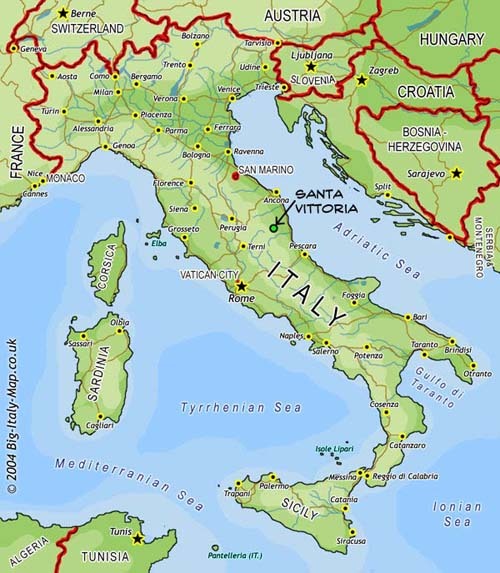 The area is relatively unvisited by Brits, (though there is an increasing number), and being so few Brits about means that you'll find the life and food very traditional Italian and that very little English is spoken. There are some photos on these pages to give you an idea. Scroll down on this page to see pics inside the rooms. Also, there's a write-up of where it is and things to do etc. This we’re developing as we get more info.